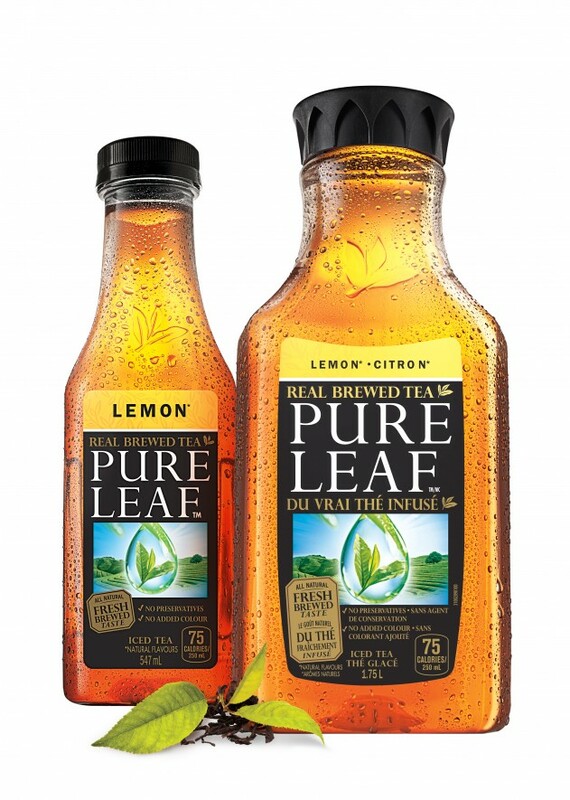 • The PepsiCo Lipton Partnership has introduced Pure Leaf Real Brewed Tea to Canada. Pure Leaf is made using hand-selected leaf teas from gardens in India, Africa and South America, and brewed under John Cheetham, a tea master, along with a team of expert tea blenders. The tea leaves are harvested at their peak. 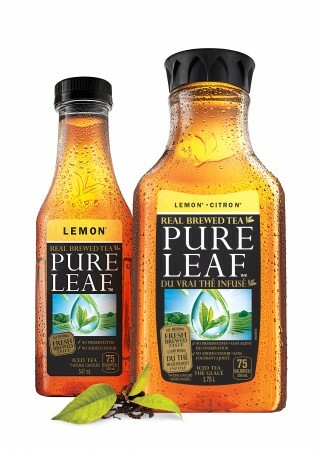 Pure Leaf comes in single-serve bottles (547 mL) and in Lemon, Raspberry and Unsweetened flavours. 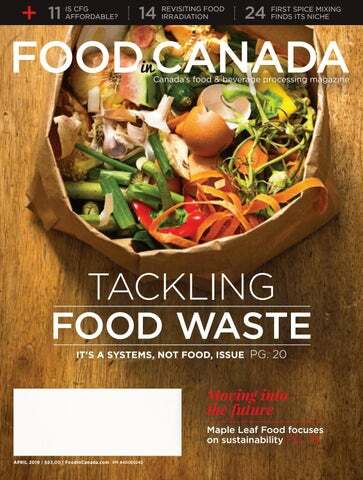 They’re available in convenience, grocery and quick-service restaurants across Canada. Multi-serve bottles (1.75 L) in Lemon and Raspberry are available in grocery stores. The 547-mL bottles have a suggested retail price of $2.59 and the 1.75-L is $3.99. All bottles are made with 100% recyclable PET plastic. • Domaine Pinnacle, the makers of Ungava Canadian Premium Gin, have released the spirit across Canada. Taking its name from the unspoiled region bordering Ungava Bay in northern Quebec, Ungava Gin is made from a combination of rare arctic plants and herbs that are harvested by hand during the short summer season. 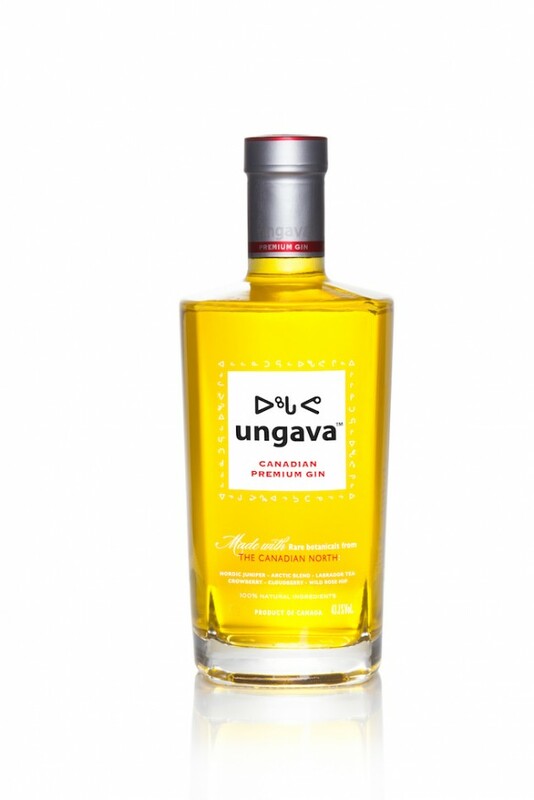 Ungava Gin’s smooth distinctive flavour also comes from its unique northern botanical ingredients such as Nordic Juniper, Wild Rose Hips, Cloudberry, Crowberry, Arctic Blend and Labrador Tea. In addition to the taste, the northern Canadian plant ingredients also give the gin its striking bright yellow colour. 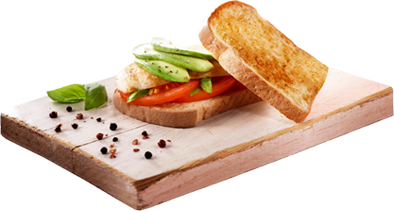 • The Gluten-Free Certification Program (GFCP) in partnership with the Canadian Celiac Association have certified Adstock, Que.-based Boulangerie Bakery St-Méthode Gluten-Free Breads. 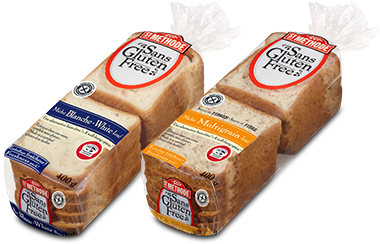 The company has also launched a new line of gluten-free breads in major grocery retailers in Quebec and across Eastern Canada. The breads will bear the GFCP trademark of assurance. The breads are also vacuumed sealed at the point of baking to create an air-tight seal that locks in moistness and freshness. The company adds that its breads do not go through freezing or a deep-freezing process, so the gluten-free bread doesn’t lose any of its taste. 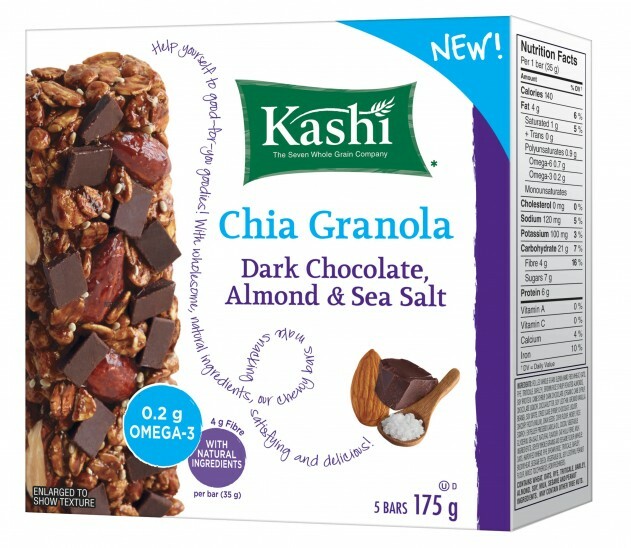 • Kashi has introduced several products that include gluten-free, certified organic and Non-GMO Project Verified and chia infused. Kashi Organic Promise Simply Maize cereal features whole organic corn and a touch of molasses. 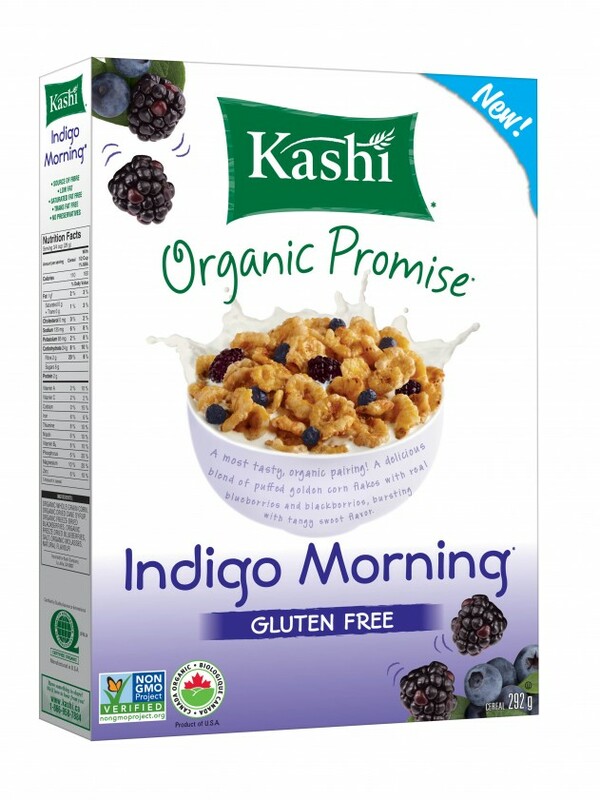 Kashi Organic Promise Indigo Morning cereal combines puffed golden corn flakes, and real blueberries and blackberries for a tangy-sweet flavour. 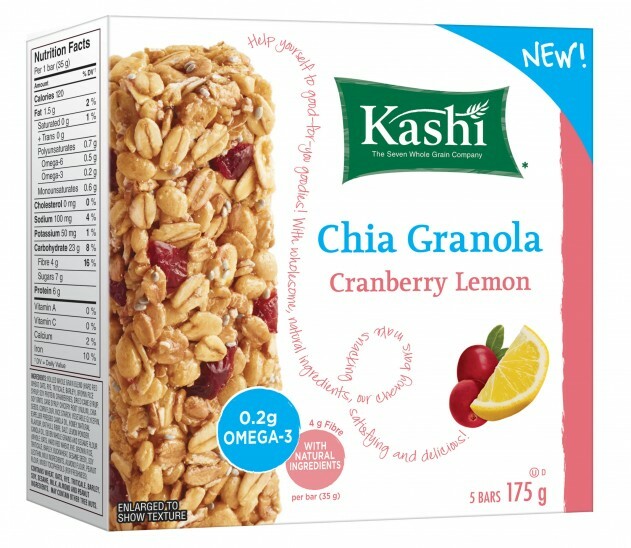 With chia, there’s the new Chia Granola Bars, which come in Cranberry Lemon and Dark Chocolate, Almond & Sea Salt. The bars come with 0.2 grams of omega-3 and four grams of fibre per 35-gram bar. 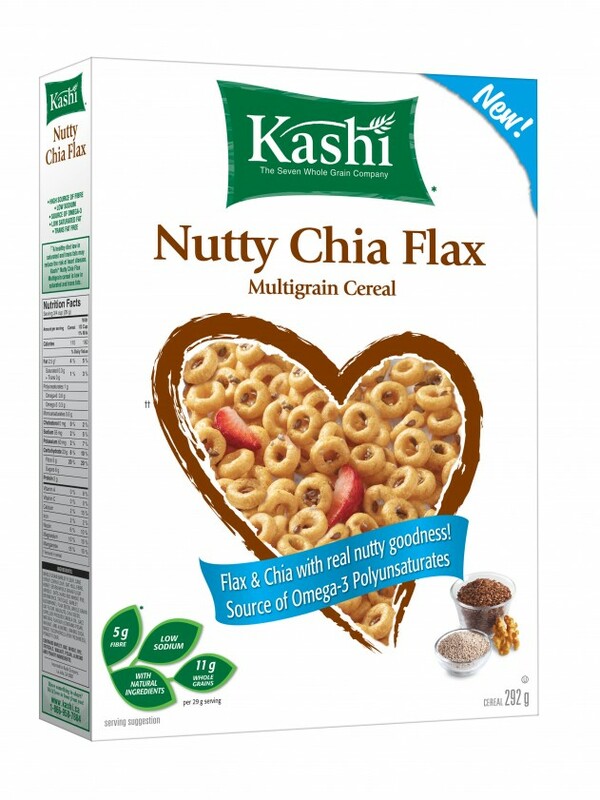 The Nutty Chia Flax Multigrain cereal blends chia, flax and walnuts. With each three-quarter cup serving there’s omega-3 polyunsaturates, and five-grams of fibre. • Discovery Communications and Single Cup Coffee have announced a new line of Keurig-compatible single-serve coffee cups inspired by the TLC series, Cake Boss. The line, which debuted in April on TLCstore.com, starts with the smooth, medium roast Buddy’s Blend. 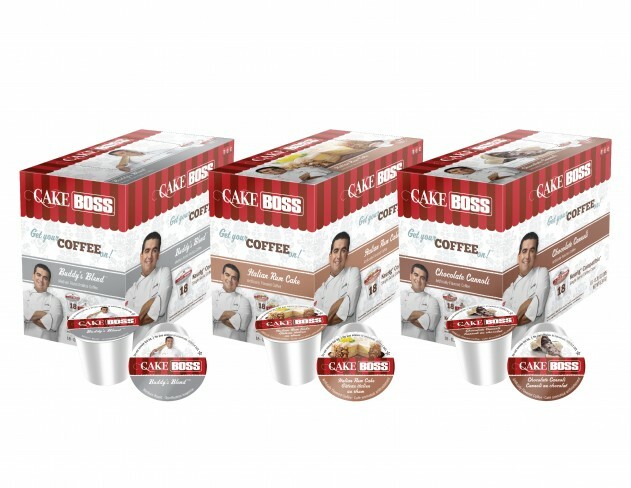 Buddy Valastro, the Cake Boss himself, has infused this rich, smooth Cake Boss coffee with the tastes of his favourite bakery creations to create seven flavoured coffee originals, including Hazelnut Biscotti, Chocolate Cannoli, Italian Rum Cake and more. There are eight blends altogether. Retailers across Canada and the U.S. will be stocking the products this spring. • As Greek yogurt continues to grow in popularity, why not create a version for kids? 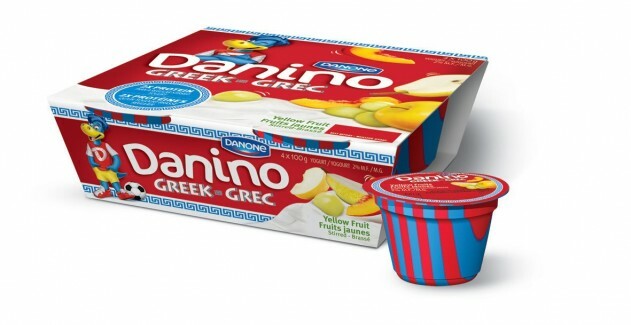 Danone Inc. in Canada has launched Danino Greek, a specially made formula for kids. Danino Greek comes in three flavours with no artificial colours or flavours. The flavours are banana and caramel, grape, and yellow fruits. The yogurt is packaged in colourful 100-gram cups and contains twice as much protein per 100 grams as regular yogurt. Released to the market earlier this year, the yogurts are sold in supermarkets at a suggested retail price of $3.99 for a package of four 100-gram cups. 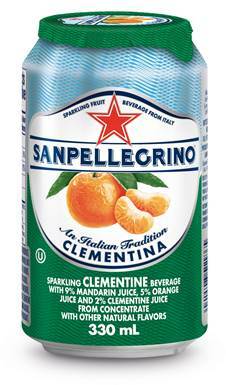 • Nestlé Waters Canada introduced a new addition to its Sanpellegrino Sparkling Fruit Beverage products called Clementina. The new Clementina flavour contains 16 per cent juice from concentrate and only uses pure cane sugar. The Sanpellegrino Sparkling Fruit Beverage family was re-launched in 2009 following reformulation to be sodium-free and made from natural ingredients, including more juice. The family was also re-introduced in 330 mL six-packs of 100 per cent recyclable aluminum cans. 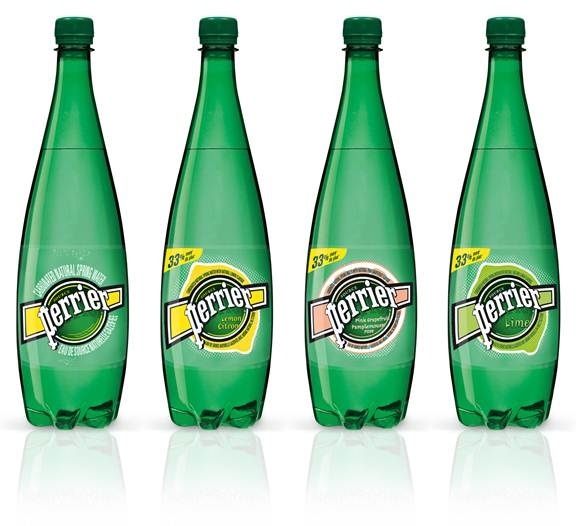 • Nestlé Waters Canada also introduced Perrier Sparkling Natural Spring Water in one-Litre PET packaging. The 750-mL bottle will be discontinued over the next few months. The company says the packaging technology behind the innovative PET is the result of decades of research to ensure the integrity of the sparkling water. • Iceberg Vodka introduced an all-natural flavour-infused Chocolate Mint Vodka to the Ontario market in March. The company says the beverage combines a hint of decadent natural chocolate and clean, crisp mint with the all-Canadian vodka. The vodka is made with iceberg water from iceberg chunks that float south from the Arctic past the coast of Newfoundland. • RealCup brand and Numi Organic Tea are teaming up to introduce single-serve capsules to the Numi line of organic teas. Developed by Mother Parkers Tea & Coffee, RealCup single-serve capsules feature a FlavorMax filter that is designed to allow more of the essential oils into the cup. RealCup capsules are compatible for use with Keurig K-Cup single-serve brewers. Numi’s tea blends are created with organic and fair trade certified teas and herbs from around the world using fuller leaf teas and only 100 per cent real ingredients. 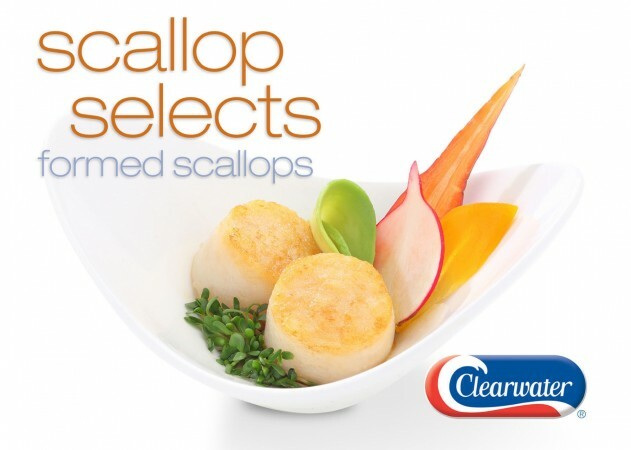 • Clearwater Seafoods has expanded its value-added retail and foodservice offerings with six new culinary-inspired seafood items. 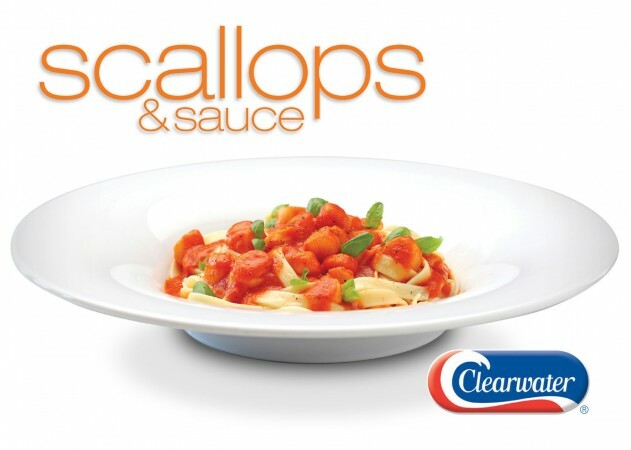 The new offerings include Reduced Sodium Shrimp, Split Lobster, Split Lobster with Butter, Scallop Selects, Bacon Wrapped Scallop Selects and two new flavour additions to the Scallops & Sauce line: Marinara and Sun-Dried Tomato. 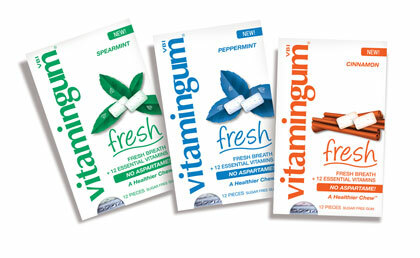 • Vitamingum, which is made by Vitamingum Canada Inc., is more than just chewing gum. It does double-duty by helping to keep bad breath at bay and by offering 12 essential vitamins. The gum comes in peppermint, spearmint and cinnamon flavours and has no sugar or aspartame. The company says chewing gum allows for faster absorption into the blood stream via the mucous lining in the mouth. Every two pieces chewed delivers 10 per cent of the recommended daily value of vitamins A, C, D, E, B1, B2, B3, B4, B5, B6, B12, folic acid and biotin. The gum is packaged in 12-pieces in a blister pack. • Big Rock Brewery Inc. has announced Freyja’s Field Mead Braggot as the second Alchemist addition release of 2014. The braggot is an ancient brew that dates back to the 12th century. Freyja’s Field is named after a Norse goddess. The beverage has a tang of sweet clover honey from Three Hills, Alta., and is blended with Alberta two row malt, hallertau hops and a specialized Braggot yeast. Only 3,000 bottles were produced and launched in April in 650-mL bomber bottles. • Les Anis de Flavigny sweets now come in pocket-size packages. First produced several hundred years ago in the village of Flavigny in France the candy still has a following today. The pocket-size packages will be available this September with a suggested retail price of $2.49. The sweets also come in 50-g tins, which are in retail stores now, with a suggested retail price of $3.99. The candies include Original, which is no larger than a pea, and Les Petits Anis, which are no larger than a grain of rice. 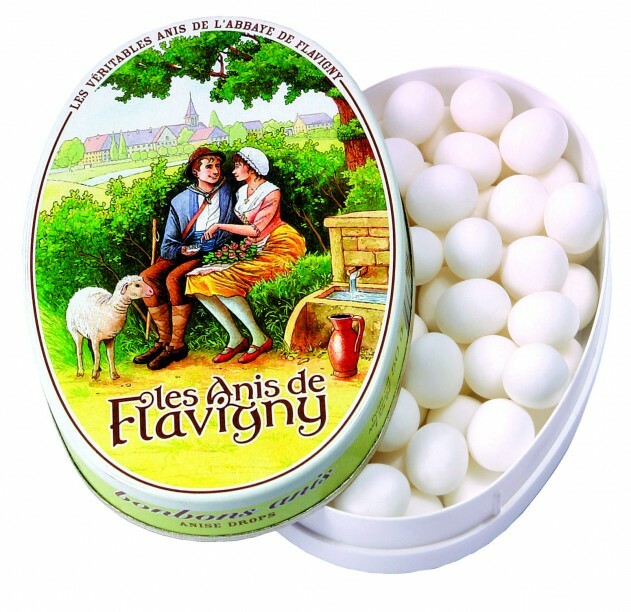 Les Anis de Flavigny are produced by hand and are free from all artificial colours, sweeteners, flavourings and preservatives. 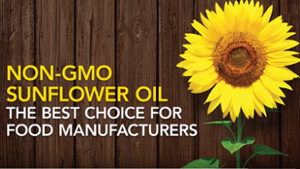 They’re also made with non-GMO ingredients. In keeping with tradition, they are green aniseeds that are gradually enrobed in flavoured liquid sugar. Anis de Flavigny come in subtle flavours, spiced or floral, such as anise, orange blossom, mint, liquorice, rose and violet. Ontario, meet beers from B.C. • Phillips Brewing Company is launching three new beers into the LCBO in Ontario. Amnesiac Double IPA and Hoperation Tripel Cross Belgian Style IPA will hit LCBO shelves in 650-mL bomber bottles in May. The third beer has yet to be announced. Phillips has partnered with The Craft Brand Company as its exclusive agent in Ontario. [Photo Gallery!] On the Shelf! [Photo gallery] On the Shelf!